Hei, oikein mukavaa pääsiäistä ja aprillipäivää! Tervetuloa huhtikuun Penny Black and More haasteen pariin.Värihaasteena musta + valkoinen + 1 valinnainen väri. Palkintoina mm. upeita uusia Penny Blackin leimasimia! Tulkaahan mukaan, kaikkien valmistajien oikeilla leimasimilla voi osallistua 3 kertaa. Jos käytät Penny Blackin leimasinta, sinulla on mahdollisuus päästä vierailevaksi GDT:ksi. Happy Easter! 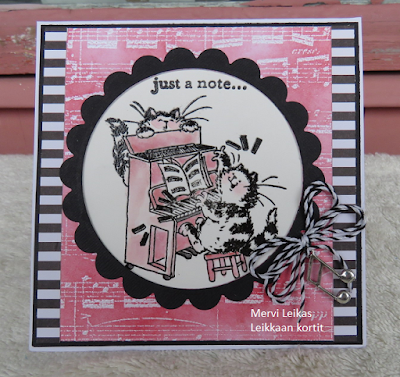 It's time for new Penny Black and More April Challenge. This month we have a colour theme: black + white + 1. Remember to use a real stamp in focus! 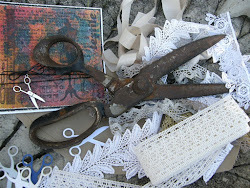 Others: just twine bow and musical note charm. Our sponsors are Penny Black, fabulous stamps from new collection; prizes from Woodware. Please head over to Penny Black and More Challenge for all the details of this challenge, and to check out all the fabulous inspiration from my very talented team mates. 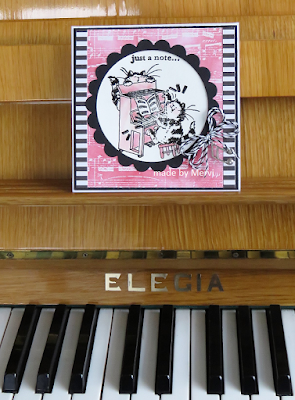 Love the warm pink with the black and white Mervi and it's an adorable image and perfectly photographed against your piano. What a sweet card Mervi, love the design and of course super cute image! Great choice of the one other colour and the image, papers and design are brilliant, really super card. Fun design and creative use of pinks in the coloring too. I bought a few sets of PB stamps a couple weeks ago, but only got to play with them this weekend. Mojo has been gone. Now it’s getting fun again. 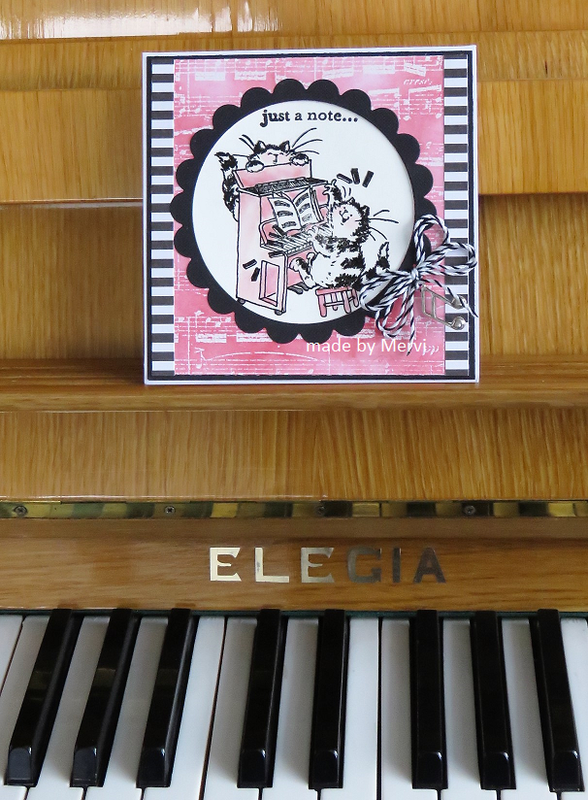 sweet card, luv the fun striped paper and adorable image! I am so glad you played along with us at simon says stamp wednesday challenge! Tässä kortissa on ihana puna- valko - musta väritys. Ja leimakuva on niin mainio. 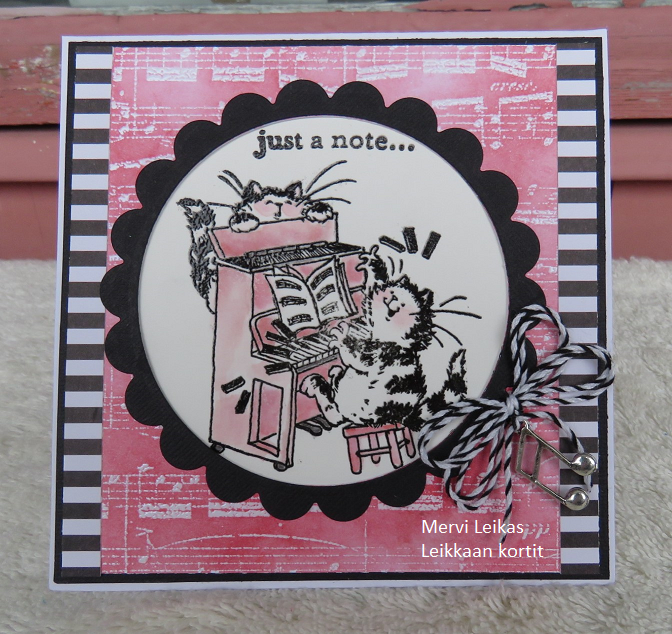 This is fabulous Mervi, the pink looks perfect against the Black and White. haha, cute! those happy cats are adorable and i love all the pink! I love how you interpreted the theme with this wonderful card. Even down to the prop!